To help people identify that what they were feeling and experiencing were actually signs of Kundalini Awakening and not symptoms of a mental or medical condition, I created a list of Kundalini Awakening Symptoms for them to use as a reference. These symptoms were from my own experience with Kundalini Rising, and were certainly not comprehensive. Kundalini is a very mysterious process and its awakening and rising tends to always have some unique and personal aspects. Of course there are many common signs, but if you read the hundreds of comments in that article thread, you will notice there are various different ways that people experience kundalini. These varied experiences then gives us more insight into the nature and secrets of kundalini and how she works. 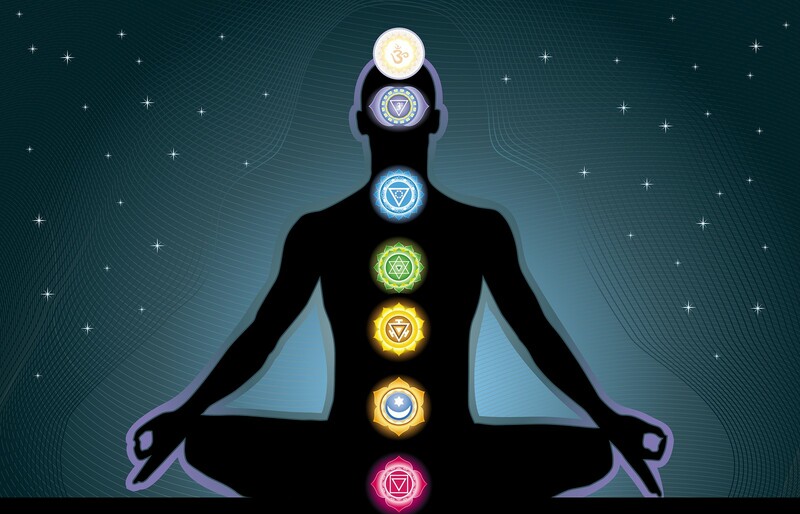 So as I alluded to above, the list of kundalini symptoms I enumerated is not necessarily a complete list, and today I want to share with you Don’s kundalini experience, which has a detailed account of what he went through with regard to kundalini. I find his account very useful as it adds to the list of signs of kundalini awakening and also provides valuable advise and help for others who might be struggling with kundalini syndrome. I want to thank Don for sharing his experience with us and if you have yourself experienced kundalni rising please do share your experiences with us in the comments section below. I am sure others will benefit from your insights as well. When I started to experience, what I later found out after intensive soul searching and some online research, to be Kundalini symptoms, I was, to put it quite bluntly, terrified. The height of their intensity was in November, October, and December of 2010. I awoke suddenly in the middle of the night to some intensely pleasurable vibrations of a sexual nature, when my wife was sound asleep next to me. Since I knew it wasn’t coming from either of us, I was disturbed, putting it mildly. The next few months were followed by me not being able to sleep without the light on. I felt very strong waves of unseen energy traveling from the soles of my feet toward my head. It was like being in a massage chair. I had nightmares, and I couldn’t shake the feeling of being watched. thankfully. I went through some horrible neck and back pain for those few months, too. At times, I couldn’t even stand up straight. 2. Itchy crawly sensations on my left leg, between my eyebrows, cheeks, and my neck. 3. What felt like tremendous heat around my left leg and foot. I went through an agonizing forklift injury to my left foot in 2003 that was followed by a long bout of depression, over not being able to support my family the way I was used to, so that needed tremendous healing, and it has in more ways than one today. I didn’t lose my foot, but the crushing injury shattered several bones in my heel, severing my ligaments, and liquifying the soft tissues inside my foot. I shouldn’t be able to run on it today, but I can sprint today from home plate to first base. That shouldn’t be possible, considering the severity of the injury. 10. Being jerked awake at times, almost like my arm was suddenly pulled out of socket. 11. Severe lack of sleep. 14. Severe lack of concentration, like I couldn’t retain any new information. 15. What felt like electrical sparks around my head and in between my eyebrows. 17. Nocturnal emissions (wet dreams). 18. Spontaneous yoga positions, although I’d never taken yoga (something I also experienced often around the age of 10-15). The list goes on, believe me, but these were the most intense. Then, an amazing thing happened at about 3 in the morning. I had been lying in bed terrified, when I was suddenly out of my body up near the ceiling in the corner of my bedroom. I looked down to see an intensely beautiful being rubbing my forehead, comforting me. I saw what I can only describe as her wings, stretched down past my toes. My entire bedroom was lit up in the most amazing blue light I can even imagine. In an instant, I was next to my kids’ room, where the light was a beautiful shade of orange. Then, I was in the living room, gazing down at my daughter as she was bathed by a brilliant white light, where she had fallen asleep. Then, I ended up in the kitchen to see an amazing shade of green throughout that space. Before I knew it, I was back in my body. From that moment on, I have been in awe. I released my fears. I truly did experience a “dark night of the soul.” If you’re going through anything like that, and you’re scared, just release your fear. Fill your heart and thoughts with love. Love vibrates at a very high frequency. In the coming months, I started to sleep soundly all night long. I started to see auras with the naked eye, as I do today quite clearly. My aura is the most amazing neon green I can imagine, and lately I’ve been seeing my aura turn more blue, and it’s getting stronger and bigger all the time. I’m in school right now, working on medical assisting classes, and I plan on using that as a stepping stone to move into nursing. There is a spiritual awakening going on. I can feel it every moment. Trust your heart. Trust your intuition. Love yourself as you deserve to be loved, so that you can share that with others. Lately, I’ve been able to see brilliant shades of purple, blue, and green with my eyes closed, and especially during and shortly after meditation. I see these with the naked eye just as easily. The universe all around us is teeming with life. I trust in that with every ounce of my intuition. It’s something that I’ve always had a gut feeling about. It’s nice to know it’s true. Don’s experience is that of a full blown kundalini awakening. 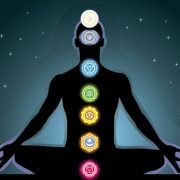 If you are experiencing kundalini activating, you may also be experiencing some of these symptoms. What I want to especially highlight here is the importance of Trust. If you are going through something like this, you have to simply trust the process. This will help reduce the anxiety, stress and fear that accompanies such a process, which will also help reduce some of the symptoms that are actually not related to kundalini rising, but related to stress and anxiety. I know this can be very hard to do, but the more you can trust kundalini, the better you will be able to handle her. Some of the interesting symptoms that Don experienced that are often reported are those of spontaneous yoga poses, itchy creepy crawly, intense pressure in the forehead and spontaneously organisms. If you are also experiencing any symptoms of kundalini awakening, feel free to share them with us in the comments sections below. near the center of imy stomach shooting up to the top of my head. I Can see white light. It was coming out of my head n I can feel my soul leaving my body together with the light. I was about to float in the air above my body n I can see my daughter and husband sound asleep sleeping next to me. I was horrified as I thought I was going to die as I could feel my soul leaving my body. I got to struggle very hard to pull myself back into my body .finally after struggling very hard to pull myself into my sleeping body, I succeeded .it was a terrying experience as at that time I never heard abut third eye and I never did any meditation etc Can anyone tell me what is actually happening.? Is it kundalini awakening or just a dream? I meditate every morning for months now. It’s not that I’ve been using some techniques or guide, but one day I just felt I need to sit down still and close my eyes, and that’s how it started. I don’t think about ‘getting somewhere’, I just sit, and my thoughts sometimes disappear, and sometimes are all over the place. I’ve been feeling all the weird stuff so far, like I was floating, or feeling extremely big and elongated, cold, heat, happy, content… And the best thing is that I’m rarely angry. Two days ago, while I was meditating, I felt like some huge spiral came into me. I was scared to death, and I wanted to stop it. And when I opened my eyes, everything was moving around me right to left, left to right, those movements were very fast, like I was in some kind of box/field where nothing’s static. My ego couldn’t stop them, and that’s why I felt so scared (or at least I think so). Those movements lasted for several minutes with my eyes wide open, and everything came back to normal in terms of movements. After that, I felt very strange, like I was going to faint and have a fever, but non of this happened. And now I have headaches and spine aches almost all the time (I had never had that before. Moreover, I was always very proud of not having headaches at all all my life). Can somebody with more experience explain to me what was that? I haven’t meditate since then, and don’t know how to stop these aches. I’m still afraid to meditate and experience it again. on the 19th of aug 2017 being yesterday,i was meditating and i went on a trans,the next thing i saw my self on space all of a sudden i saw a huge golden light struck my forehead with force like the light was rotating with the universe and then i felt my body vibrating but when i opened my eyes it felt like a dream,what does that mean? Does the memory come back and the difficulty of concentration improve? Do we need supplement to help? How long does it take? I suffer from Kundalini seizure and I have NO idea what to do…any feedback would be great. I’m so grateful to Don for sharing his experience….I suffer from these symptoms exactly but little bit more severe since I was born with learning disability and I was never able to compute 8+3 without counting with my fingers. I asked a DNA healer to help me in the UK and he wasn’t supportive at all. My memory is completely wiped out. I cannot recall what I’ve read. I get frontal lobe seizure all the time…I’m unemployed I hardly can stay awake or get of bed. Did your memory come back? I keep shifting from a nice person to a witch. At night I can focus but not during the day. It’s been exactly 6 months where my case has gotten worse. I get fatigued easily. I’m hypoglycemic to begin with and with this awakening my glucose is so so bad I cannot control it. I’m lonely and single I have no one to hug…but Henry the horse I take care. I always suffered from private pain since I was a child and have bladder shy syndrome, I could not approach any man and..I could not understand why for the love of God…with this awakening a voice spoke to me and told me my dad was a monster and my mom new about it and did nothing…. Can you please tell me how were you able to release fear….I don’t even understand the term release fear….fear of what really? Lately I am experiencing vibration and tightness in the centre of my head and forehead. It all started from last week. Lately I started practicing meditation it’s being one 1 month. Very first day I experienced auras of light as I closed my eyes . But from past few weeks I started experiencing on my face whenever I meditate , last week I guess things got too deep and I experienced severe vibration flowing through the centre of my head and forehead. It was so severe that I opened my eyes immediately but now I have developed a king of tightness and pressure and vibration in the centre of my head and forehead, I have difficulty in sleeping at night and I can see some auras of colours as I close my eyes , I guess i am experiencing third eyes awakening and kundalini rising . If any of you experiencing same symptoms please share. Hi, I wanted to ask you something about meditation and about the effect please suggest me what should I do. And suddenly I opened my eyes and interupt the meditation. Please tell me is there anything wrong , next time I should do the meditation or not. are you actually asking whether sitting quietly in solitude and peace is going to harm you ?? if you think so then yes there is something wrong, you are crazy buddy and have lost it! have fun in la la land. I experience crawling in the crown chakra, pressure and a crawling sensation in the third eye area as well as the bridge of my nose and around my eyes.Intense heat in thighs and knees as well as twitching or feelings of being touched on my knee. Last few times during meditations, I feel popping like something breaking loose behind my nasal cavity, that is the only time this happens, during meditation. Back of my scalp feels crawly. Also, twice, I have felt what I can only describe as a whoosh of air blow by my left ear that is really quick, but the first time, it was like something rushing by me and I even flinched and moved over with nothing visible there. Starting to wonder if it’s my imagination or not. I’ve expirienced something.Previous 2-3 years I use to see myself like anytime (day and night).I see the same vision for like 2 years or 3 years,I may see it when I’m awake or in sleep.But when i get the vision my head used to feel like brusting and I go through lots of pain in my head.Means I used to get headache when I see myself (vision),and past 1 and half year I did not saw the any vision,And I’ve expirienced no headache.But few days back I again saw myself (vision) but different scene.In my vision what I saw is that [ I’m following the another person and that person is also me myself.) means I’m following myself.As soon as I was out of the vision , I tried to realize that is it a dream? questioned my self in real world. but the thing is that I am sure that its not a dream. I had my 1st experience last year march. I had been listening to Bhagwat geeta and crying a lot because of the truth I was learning. I kinda became addicted to it, whenever I felt sad or lonely or hurt I would go over internet and listen the parts I thought would help me release my pain, and I cried. Cried a lot. My life wasn’t great and I felt that I would go mad or something. I was very lonely and had no one with me. I felt like I should go to psychiatrist and get a check up done. Had suicidal thoughts too. But I didn’t say those things to anyone. I feared they would think I have gone mad. So I used to listen the geeta and cry all the time I was alone. One night I woke up to get water and layed down again to sleep. I felt a rush in my spine and it reached top of my head. I saw a lil spark of light with my eyes closed and it felt so heavenly. I didn’t want that spark to disappear so I concentrated on it. It came closer and closer and I felt like m moving close to a tesla ball very quickly and its intensity increased suddenly too much and it was not possible for me to bear it. As it came closer almost to touch me I felt that I might die. In a snap I had my eyes open, with sweat and feeling of my quick heartbeat throughout my body. I had my husband sleeping next to me so I moved in closer to avoid same thing to happen again. When I closed eyes again I felt the blood rush again to my skull and in fear couldn’t sleep for 1-2 hours. I didn’t know what to do. I felt that no body can help me. In the morning I did some symptoms check and got most links for mental disorder. I felt it’s not true so I searched a little more and came across the word kundalini. Every site said it’s a dangerous thing to push it. But my experience was natural. I spoke to my husband and he suggested me to meditate as it will help me control my energy. So I have been meditating since then whenever I can. I feel calm, full of love and kindness, I don’t like fights and shut myself down if I see hatred and hear bad about anyone. I am not the person I was one year ago. People have started to notice it. Everyone likes the new me, and I love myself the way I am . I have been touched by kundalini Devi and I am great ful to her for everything. I don’t try hard to awaken. I however miss the feeling I had that night. I wish I see beyond it. But I am letting it happen naturally. I have some other symptoms now. I feel the energy moving upto the middle of my spine, sometimes upto my shoulders but it goes away in some time. In the nasal cavity I can feel some movements and hear it too. Tingling sensation on the top of my head. Sometimes I get headaches, but I don’t worry about it. When I go to sleep my legs get cold upto knees and I don’t feel them. I am not scared of anything I feel. I know somewhere deep inside it’s all part of my evolution into a better human being. I had new sensation last night. I felt as if someone is massaging the centre of my brows lovingly. I felt so loved. When I opened my eyes I saw nothing but the feeling continued. I trust whatever it is, loves me like a child and helping me a lot. Also I see syncronity in numbers like 10:10,11:11,4:44 most of the time I look at clock. It’s a message I feel. Everything feels mysterious but good. I trust in the eternal light of love peace and harmony and give our same energy to whole planet, our galaxy and whole universe when I meditate. It is making me a better person in return. I feel we are little creatures who know nothing about the universe but are full of ego which needs to be let gone. It is not good for us and those surrounding us. Especially animals and plants who are just like us, I can feel their pain and happiness. I feel more connection with our planet. But not with human beings. This is not how I was before. But I will let it be the way it is. And keep meditating. May everyone be full of love and kindness. Just a feeling of relaxation than almost as I catch myself before I fall? I see 4:44, too! And 12:20. Always makes me happy. I am suffering from something not sure if its kundalini awakening, but last year I did yoga for quite some months and left it because of work pressure but after few months I started feeling so many things like swinging in moods, sometimes too emotional, I became so depressed, my life flashback suddenly from childhood to till now and I started analyzing it and the questions started moving in front of me like in actual who am I? why am here? is this the right purpose for me to do? and many more, I never had any interest in astrology and after that suddenly I started reading them and in small time i was able to understand them and then I started yoga to find peace within me but from quite sometime I have been experiencing sensations in my heads, in the back portion of head and neck, at my eyebrows I feel something is moving and then same in between my eyes, I feel like my head is too heavy, it is loaded with so many things, my sleeping pattern has changed, my eating habits also has changed, I am moving towards spirituality I feel but still don’t know what all these means? I think I am too late to reply this query. If the similar things are happening to you even now, then I will suggest you to accept these changes as a part of individual evolution. There are so many types of experiences which can’t be documented. Every being on our planet is a spiritual being with different level of realities. You may be moving towards a greater reality, so mother nature is helping you to evolve through her inspiration. Have faith, and witness these changes in you. And my special thanks to Anmol for sharing his experiences.